Thursday is here, South Florida – and NBC 6 has the top stories you need to know. The Miami city commission is set to meet this morning to talk about new locations. One of the possible places is Virginia Key, which has been met with pushback from those in that area. Officials are looking to break last year's donation record of $10 million dollars. The Miami Foundation has pledged to match donations between $25 and $1000 made today. The Fish are revealing the new look today as the team has been keeping quiet about the design, only giving us a few hints with pictures using the hashtag #OurColores. We know the buttons will be blue and there will be red, white and black somewhere - fans have been asking new owner Derek Jeter to bring the teal color back. No. 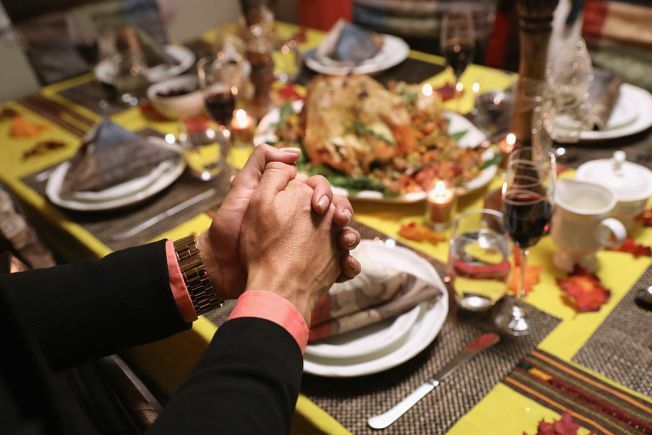 4 - Your Thanksgiving dinner won't "gobble" up as much money as it did last year. The American Farm Bureau is out with its annual survey today, and says the average cost of a classic turkey dinner for ten people, with all the usual trimmings, plus leftovers is $48.90 - down 22 cents from last year. The biggest ticket item on your thanksgiving table is the turkey. A 16 pound bird is averaging $1.36 a pound, or $21.71 - down from $22.38 last year and the lowest price since 2014. They raised $400,000, but now -- there's a twist! They are all in trouble and facing criminal charges. Detectives say the whole story was made up and it was all scheme to get rich. Back in September, police raided the couple's home and took away a new BMW, cash and jewelry. Now, all three are being charged with conspiracy and theft by deception. The couple turned themselves in yesterday and the homeless man was arrested today.